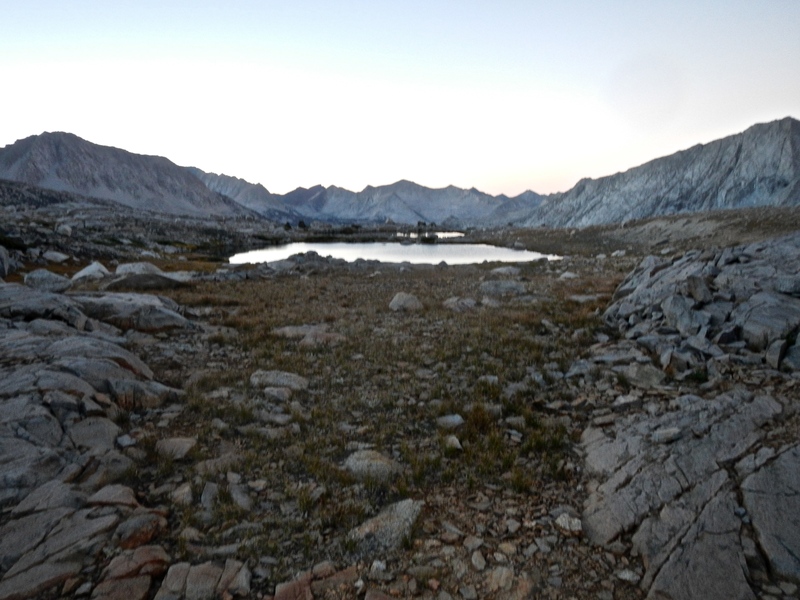 We are at the tarns in Upper Basin, just south of Mather Pass. Big day, but both Betty and I feel good. Slow and steady from Grouse Meadow, 8,100’, down to the confluence of King’s River and Palisades Creek, at 8,000’ (the lowest point of the JMT). Then a slow climb of over 4,000’ to the pass, at 12,000’. Saw another pika. No sign or anything at the top to let you know you’ve arrived, but it’s pretty darn obvious, as the trail drops dramatically down the other side. Big loose cobblestones of granite that were hard to walk on and grabbed the ends of the trekking poles repeatedly (after awhile, I quit using them). But so stark and beautiful! 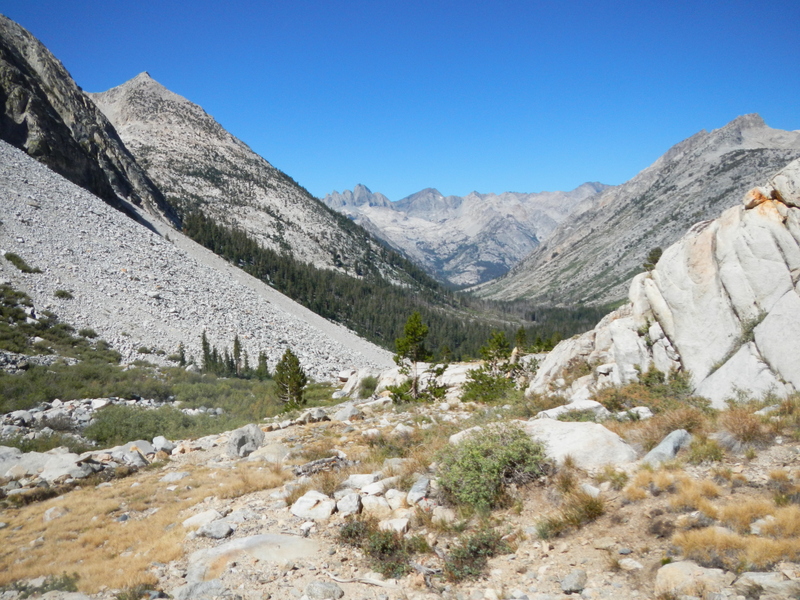 Looking back down Palisades Canyon toward the confluence with the north fork of Kings River. The standing dead and tender living. 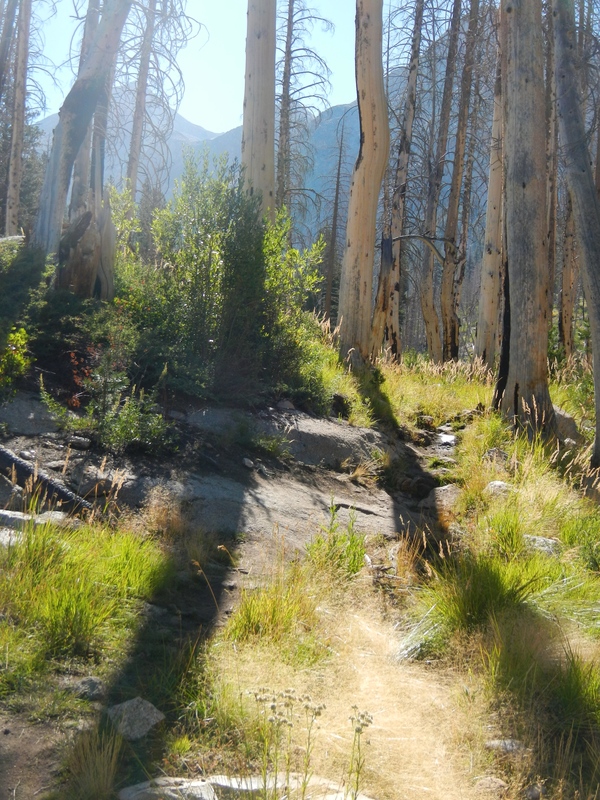 Hiking up Palisades Canyon, we wound our way through an old burn area. It seemed to be recovering nicely, and I find that these places have their own sort of beauty. The grasses appear taller and more tender, and the flowers seem to like it. 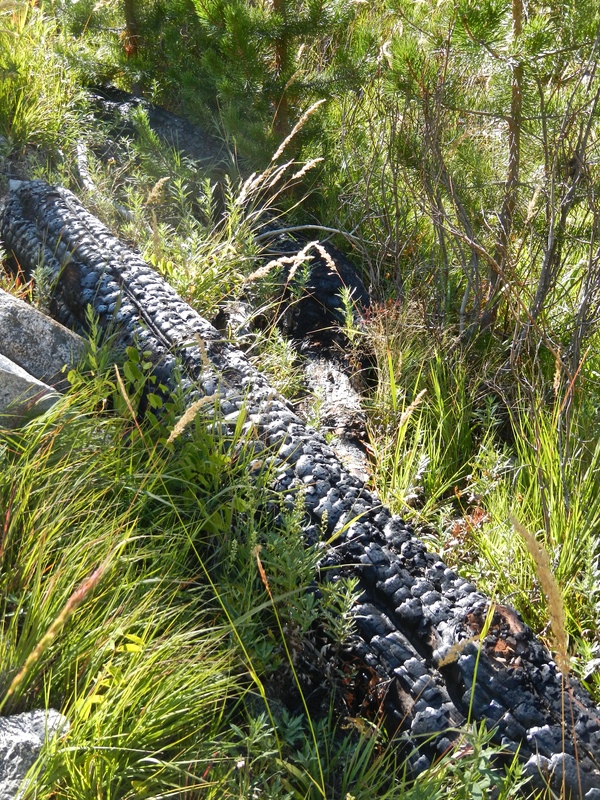 Then there are the fallen trees, blistered and horribly burnt, reminding you of the terrible power of the inferno. The higher we went, the better the views back down to where we had been. 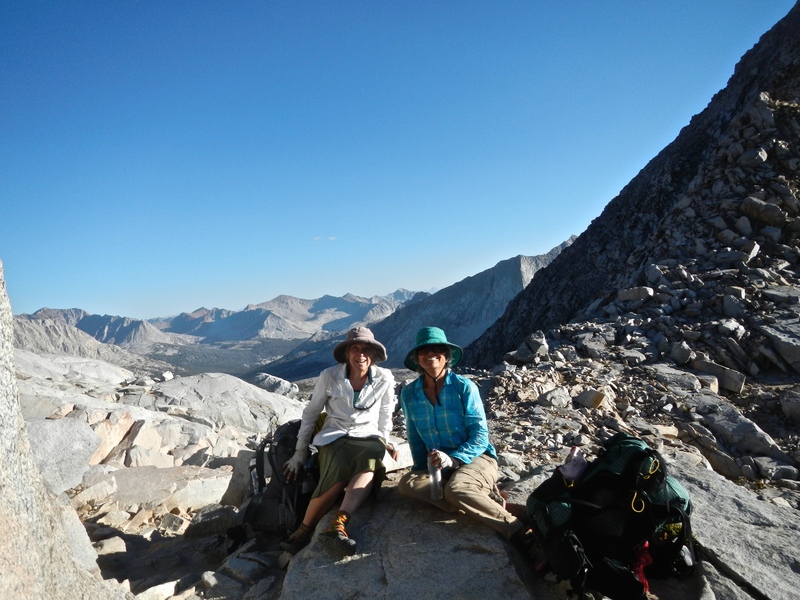 We met a young man on the switchbacks who was through-hiking the Pacific Crest Trail, and managing over 25 miles/day. I cannot imagine wanting to do that. It seems like such a rigid agenda. Gold-tinted rocks lining the Golden Staircase. 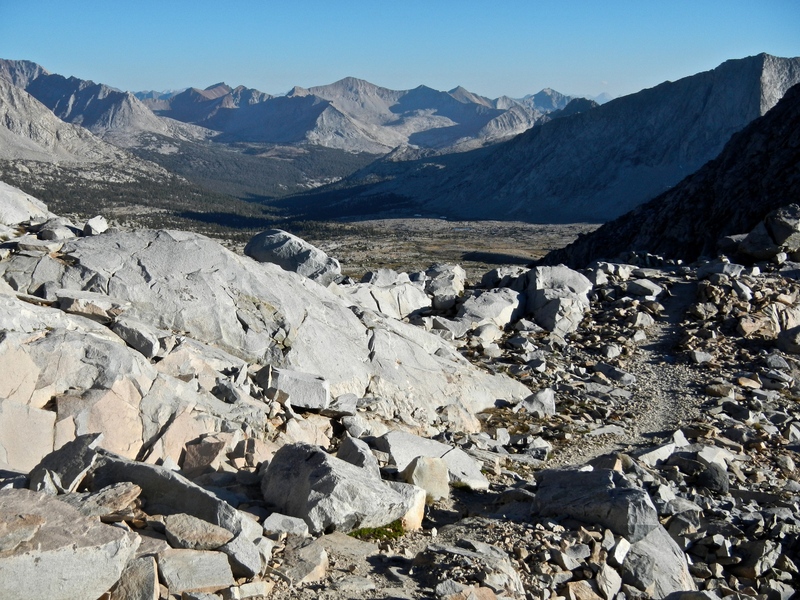 The views down to Kings River from the Golden Staircase (very steep switchbacks going up Palisades Creek, and the last part of the JMT to be completed, in 1937) were breathtaking. I don’t know if anything will come out on the camera, though. It’s all too grand for a waterproof point-and-shoot. 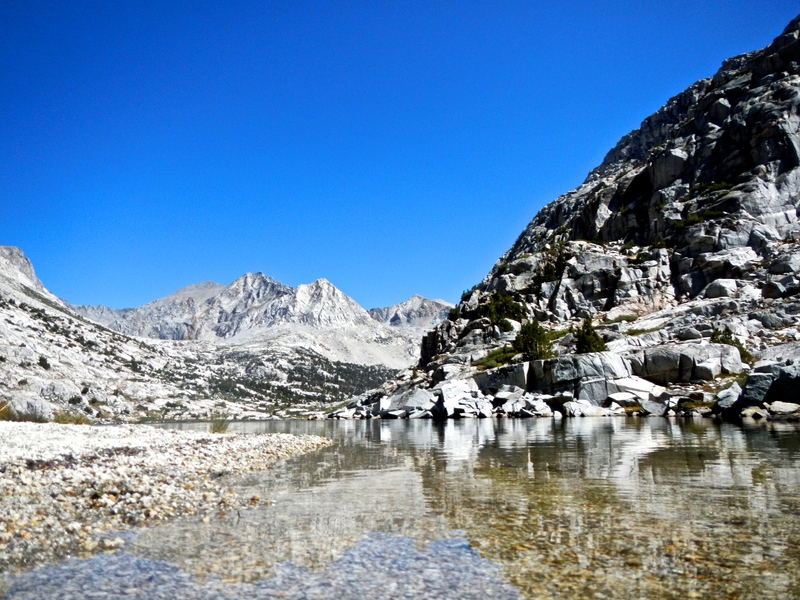 Lower Palisades Lake, where I attempted to swim. Selfie after the lovely lake experience. 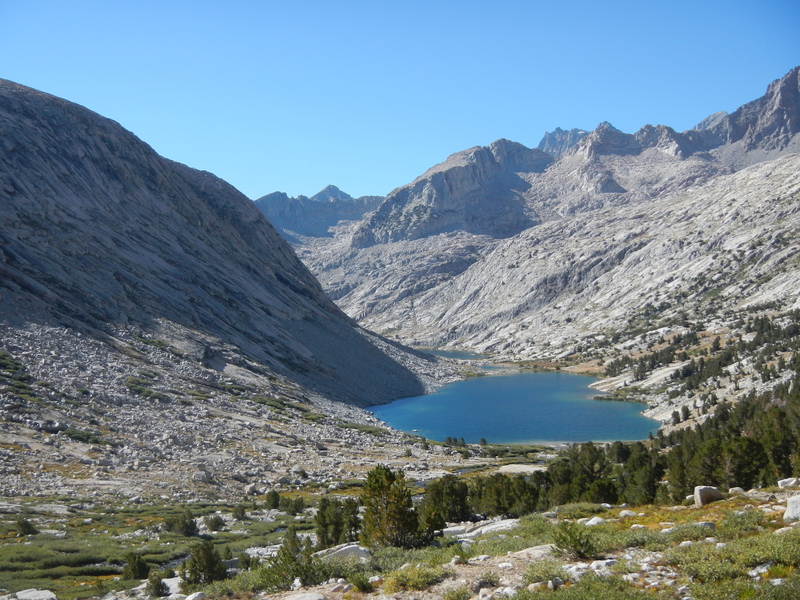 When we finished the climb up the Golden Staircase, we were greeted by lovely lower Palisades Lake, in which I attempted to swim. So cold! I splashed about, rinsed out my clothes and generally did everything but submerge myself. That cold water makes my skin feel so alive, and really refreshed me from the climb. People who we had met on the trail today were all bedding down by 3:30 with the intent of getting up early to tackle Mather Pass. But we felt good, and decided to go for it today. It was just too early to stop. Passed the last Mountain Hemlock on our way south. I’ll miss John Muir’s favorite tree. 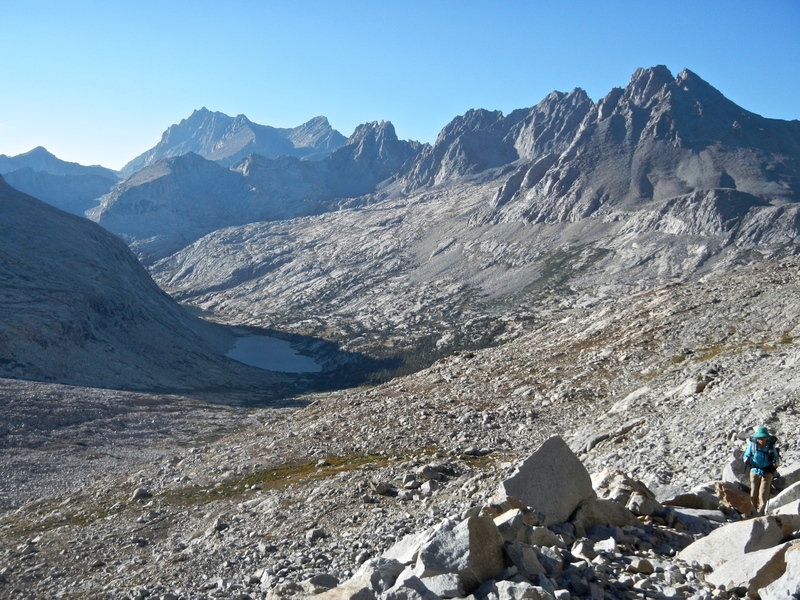 Looking back as we climbed to Mather Pass, we had beautiful views of Palisades Lakes. Palisades Lakes retreat into the distance. The last mile up to the pass is always the most difficult, the longest, the one that never seems to end. But eventually, like everything, it does end. We stopped to rest and set the timer on the camera for a victory photo. On Mather Pass, 12,000 feet high. Betty has been sending messages every evening on an In-Reach device to Tom and Dwight, letting them know where we are and that all is well. Generally, we get a message back, but there’s been no message since the night before last. 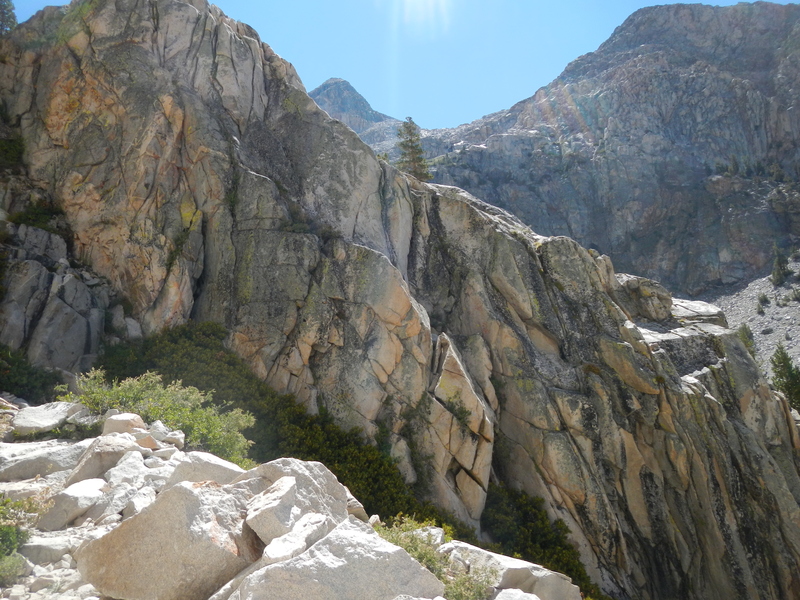 So all the way up the long climb to Mather Pass, my mind started wondering if something was terribly wrong, maybe with one of our aging parents or something. Only because we are able to be in touch is it a problem to NOT hear from someone. By the time we reached the summit, both Betty and I were lost in our own little private hells of imagined disaster scenarios. It’s amazing what the mind can come up with, given the uninterrupted time and space to cogitate. I was plotting how to hike out, which passes I’d have to cross, and how soon I could make it to wherever I was needed. So we were relieved to hear this evening that all is well. 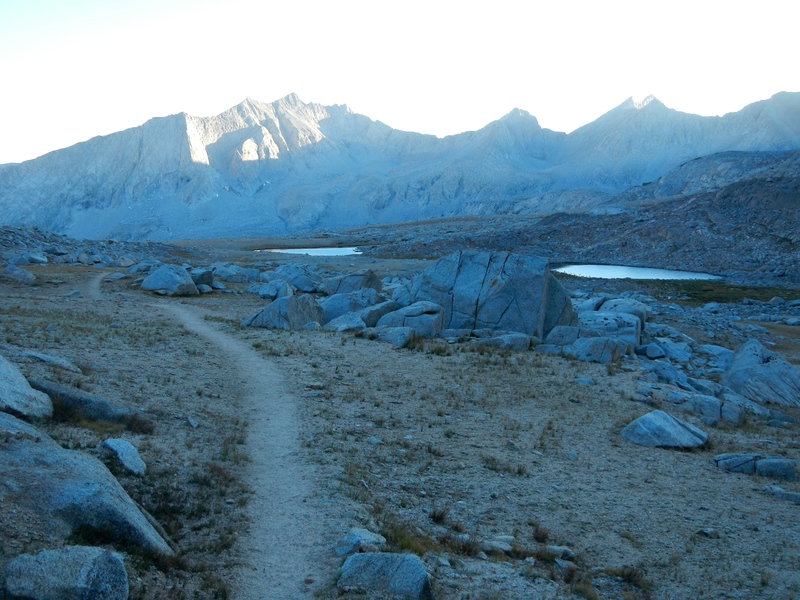 Starting down the south side of Mather Pass. We’re headed for the far mountains, slightly left of center. But that won’t be until tomorrow. The landscape here is like the steppes of Mongolia (or so I imagine). It’s almost 9:00 PM and time for bed. Close to 14 miles today, and 4,000’ elevation gain. Biggest day yet, and I feel good. But too tired to eat more than a few bites of dinner. I’ll have the rest for breakfast. Evening falls as we descend to the upper tarns. Our campsite for the night was near this tarn. 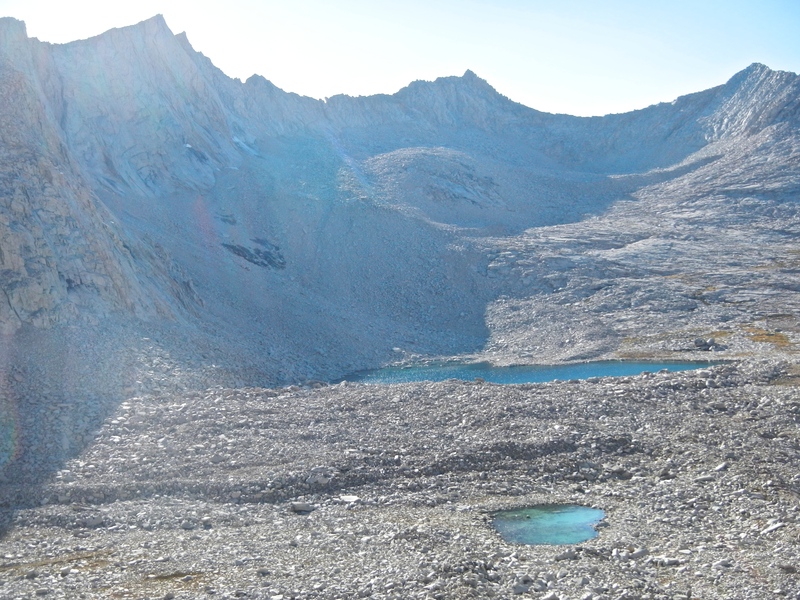 Myself & a friend backpacked up Big Pines Creek and visited the Palisades Glacier which was the most southern glacier in North America, so is there a permanet is field even there any more? 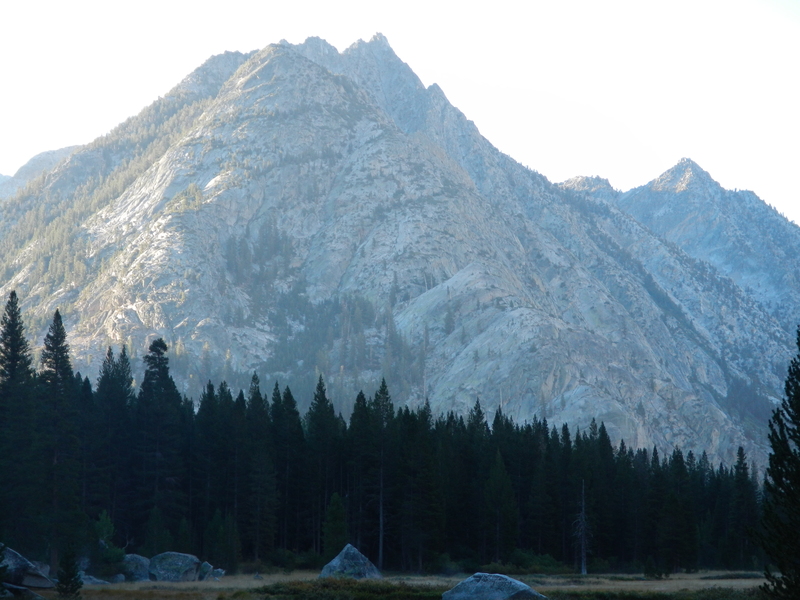 we did this trip in late spring of 1976 during the severe drought in that time frame in fact after that trip we drove up to Tuolume meadows and camped with no snow in site about 3rd week in may! Beautiful, Laurie! And I’m glad all was well with those back home. I am tempted to do some sketches of these photos, but probably could never capture the dreamlike quality you did here….. have a great trip down south, till we meet again! So glad to be back on your trail again! I have really enjoyed this. Yes, welcome back to sharing your journey with us. I’ve been missing the daily tales of LL on the JM Trail (but I know you’ve been super busy). 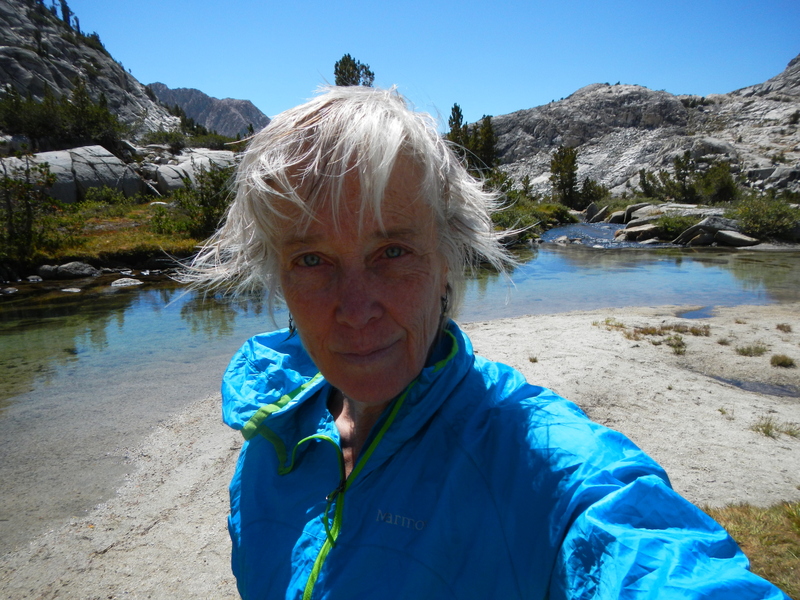 Now I’m again thoroughly enjoying your concise yet fully enlightening entries and beautifully realized images – as well as being lost in admiration at your and Betty’s ability to hike those distances at those altitudes.